Even while maintaining the rigor of his principles, Hazrat al Imaam al A’zam, Abu Haneefah was very human and had a keen sense of humor. Once a man asked him about taking a swim in the river. “Should I face the Qiblaa when I bathe in the river”, asked the man. “No”, replied the Imaam, “You should face the bank of the river and watch your clothes”. [Rahmatul Laahi Alaieh] declined. The Caliph, furious that his invitation was rejected, had the Imaam flogged and put in jail. Even in the prison, the Imaam continued to teach and train his disciples. And it was in prison that this great mujtahid breathed his last in the year 767 CE. [Rahmatul Laahi Alaieh]- passed away while in Salaah. He had been poisoned by the orders of Caliph Mansoor. His Naamaaz e Janazaa was performed six times and each time 50 000 people took part. People continued to come and pray for him for 20 days after he was buried. He was 70 years old. In 459 A.H. 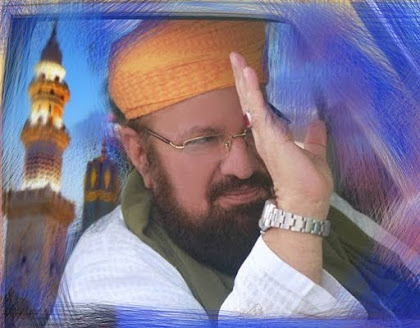 The tribute to this giant among scholars is that a large majority of Muslims around the world, from Istanbul to Dhakaa, from Samarqand to Cairo, use the Fiqh named after him. Lamp of the Ummah; Leader of the Jurists - Haafiz e-Hadees, was a prestigious Muhaddis, authoritative person, truthfully spoken, abstinent, wise, and pious. He was an imam, pious, knowledgeable, someone who practiced, someone who indulged in great worship and a man of great ranking; he would not accept the sultan’s gifts but would trade and earn a living. He was born in 699 in the Iraqi city of Kufa, to a family of Persian origin. 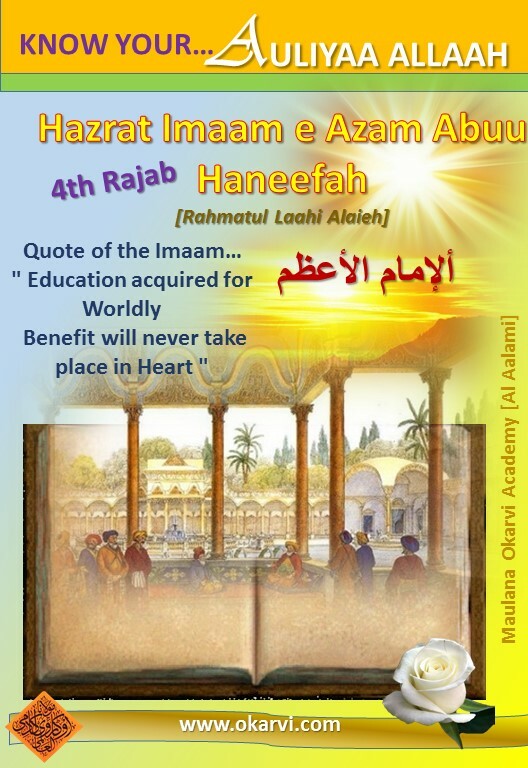 His father, was a successful businessman in Kufa and thus the young Hazrat Abu Haneefah [Rahmatul Laahi Alaieh] intended to follow in his father’s footsteps. Living under the oppressive reign of the governor of Iraq, al-Hajjaj ibn Yusuf, Hazrat Abu Haneefah stayed focused on running the family silk-making business and generally steered clear of scholarship. With the death of al-Hajjaj in 713 came the removal of oppressive policies regarding scholars, and Islaamic scholarship soared in Kufa, especially during the reign of Umar ibn Abdul-Aziz (717-720). Thus, by his teenage years, Hazrat Abu Haneefah began to study under some of the resident scholars of Kufa. He even got the opportunity to meet many companions of Prophet Muhammad ﷺ, among them Hazrat Anas ibn Maalik, Hazrat Sahl ibn Saa’d, and Jaabir ibn Abdul laah. [Radiyal Laahu Anhum Ajam’een]. After learning from some of the greatest scholars of Kufa, he went on to study in Makaah and Madeenaah under numerous teachers,who were known as one of the greatest scholars of Makaah at the time. He soon became an expert in the sciences of Fiqh (jurisprudence), Tafseer (exegesis of the Quraan), and Kalaam (seeking theological knowledge through debate and reason).